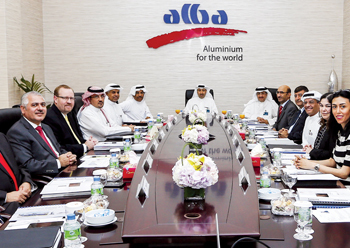 Aluminium Bahrain (Alba) has received shareholder approval for its Line 6 expansion project which will cost $3.5 billion and make it the world’s largest single site smelter. Line 6 is expected to begin production in early 2019 and will boost annual production capacity by 514,000 tonnes, taking the total to approximately 1.45 million tonnes. It is expected to have a big impact on the economy and new job creation with at least 50 per cent of the new metal production expected to be sold to existing and new Bahrain downstream customers. Construction commences in 2016 upon completion of final engineering designs, selection of the Line 6 project EPCM and Power Station 5 EPC. “The Line 6 expansion project will allow Alba to continue its marketing strategy of maintaining its core presence in the GCC and leverage its global sales offices to directly market the additional metal produced to meet the growing international demand for aluminium,” a company statement said. The chairman of the company’s board of directors, Shaikh Daij Bin Salman Bin Daij Al Khalifa, thanked His Majesty King Hamad bin Isa Al Khalifa, the Prime Minister HRH Prince Phalifa bin Salman Al Khalifa and the Bahrain government for their support to the project. “The Line 6 project will make Alba the largest single-site smelter in the world. In addition, it will strengthen Bahrain’s position as the hub for the downstream aluminium industry in the GCC,” Sheikh Daij said. The company’s board of directors looked at various options from the Line 6 Bankable Feasibility Study (BFS) and ultimately opted for the largest expansion option of 514,000 tonnes which will significantly improve Alba’s overall cost position. By selecting the larger production capacity, the Capex associated with Line 6 will be approximately $3.5 billion versus the prior estimate of $2.5 billion. Included in this capex is the construction of a fifth power station with a capacity of 1,350 MW. The Line 6 potline will utilise Dubal’s state-of-the-art DX+ technology which will optimise cost performance and reduce energy consumption. The board officially appointed JP Morgan, Gulf International Bank (GIB) and National Bank of Bahrain (NBB) as Alba’s financial advisors for the project. During the extraordinary general meeting (EGM), Mutlaq Al Morished was elected as an independent board director representing 10 per cent of public listed shares. 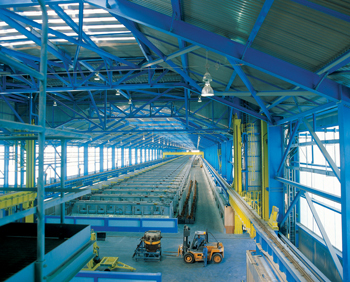 Established in 1971 as a 120,000 tonnes per annum smelter, Alba produces more than 912,000 tonnes annually of the highest grade aluminium, with products including standard and T-ingots, extrusion billets, rolling slab, properzi ingots and molten aluminium. The company is listed on both the Bahrain Bourse and London Stock Exchange, and its shareholders are Bahrain Mumtalakat Holding Company (69.38 per cent), Sabic Industrial Investment Company (20.62 per cent) and the general public (10 per cent). Alba has opened a new regional sales office in Atlanta, US, in its latest network expansion. 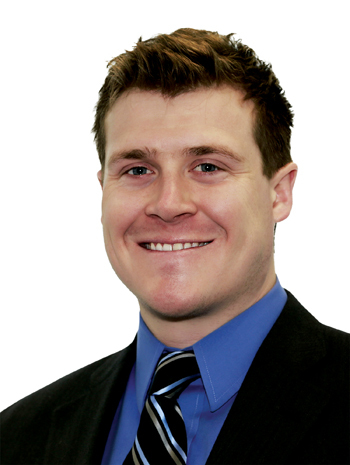 Zac Jungers, recently appointed as the new sales manager for Alba Americas, will oversee growth and development there and, along with his team, support initiatives that help expand Alba’s footprint within the US. Jungers will be based at the company’s office in Atlanta and report directly to the acting chief marketing officer, Khalid Latif. “Alba remains committed to expanding its presence around the globe with the opening of a new sales office in US. The new office represents our commitment to grow our footprint and is a major step towards consolidating our presence in this market,” said Murray. Jungers, originally from Baltimore County, Maryland, has been with Alba (in Bahrain) since 2013 as manager of strategy and business development. Zac holds a BA from Princeton University and a JD/MBA from the College of William & Mary. The company announced the appointment of S Hussain S Fadhel as the manager of Reduction Lines 1-3 and Mustafa A. Rahman as the manager for Carbon 3. Alba congratulated its team of management employees on their MBA graduation from the French Arabian Business School (FABS), Bahrain, in partnership with the ESSEC Business School, one of Europe’s leading business schools. Meanwhile, the company received visits from US ambassador to Bahrain William V Roebuck and the Tunisian ambassador to the kingdom, Mohammed bin Yousuf. “We appreciate opportunities such as these, which help us showcase the vital role that Alba plays in supporting the national economy as well as promoting the business friendly environment of Bahrain,” said chairman Sheikh Daij.